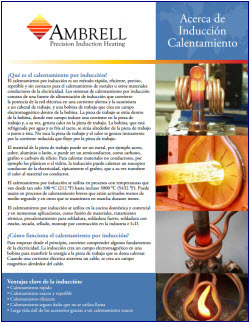 El calentamiento por inducción ofrecen una serie de ventajas respecto a otros métodos de calentamiento y se utiliza habitualmente para las aplicaciones de unión (gelificado) de materiales. El calentamiento por inducción proporciona calor fiable, repetible, sin contacto, con bajo consumo energético en un tiempo mínimo. It took just five seconds with our lowest power unit to deliver the heat to the bond just where it was needed. It took a modest amount of time to debond the rubber gasket from the metal end ring in this release/debonding application. Heat is delivered only where needed. Induction heating enables rapid bonding, can easily be integrated into the client's manufacturing process due to modest space requirements and delivers a highly repeatable process. The goal of the process is to quickly and cleanly remove the can lid and to pour out paint to reformulate. Induction enabled rapid removal of the paint can lids. The part was assembled with the mat in contact with the stainless steel sheet. The part was set on non-conductive material, and placed inside the coil. Filter modules are assembled on the fixture with ring gasket. Pressure is applied to the modules, modules are rotated and induction heating is started. After 10-12 seconds, heating is halted and the modules are removed from the fixture. To bond rubber gaskets to the top and bottom of a steel gas tank assembly. A single-turn solenoid coil is placed around the assembled beer keg and heated for 35 seconds as the keg is rotated. Pressure is applied with a press on the top rim whilst the keg is rotating, forming a seal between the aluminium mesh and the two halves of the beer keg. Reliable bonds are produced when the diameters of the preassembled parts are consistent with little clearance before they are heated. To heat the stainless steel substrate of a solar panel shingle in order to melt the polymer encapsulant, allowing two shingles to bond together with a 3 inch overlap. Heating to 500°F is accomplished through the use of the unique coil; molding is continuously processed at a rate over 20 feet per minute. 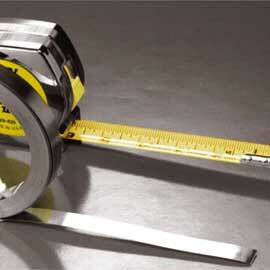 To heat various sizes of aluminum auto trim to 500°F (260°C) at a rate of 30 ft. (9.1m) per minute for curing an adhesive.